John (Homepage) wrote: Beautiful moody shot, well done. Mia (Homepage) wrote: Stunning as always - so peaceful and calm! Alexandre Miguel Maia (Homepage) wrote: Great tonality and symmetry in that shot. Marcie (Homepage) wrote: Love the perfect simplicity and exquisite symmetry. Wonderful in b&w! 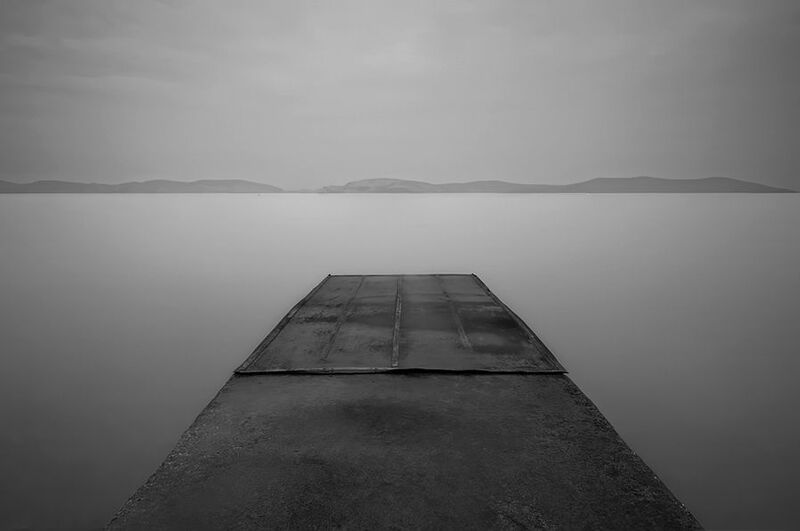 RobertB (Homepage) wrote: A very minimalist and surreal image that draws you right in. Rob (Homepage) wrote: I feel as though I were on a high dive platform. Beautiful image! Claus Petersen (Homepage) wrote: It feels like I'm walking right out on a cloud.. Wonderful work here, magical in a way. crash (Homepage) wrote: looks like you're jumping into the void !